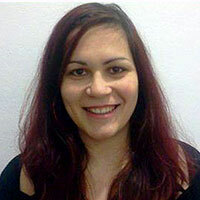 Chrysi has recently finished her PhD at the Department of Journalism Studies. Her research focuses on the journalistic use of Twitter and its implications Public Sphere concept and the rejuvenation of Democracy. This research reflects her broader academic interests on the developments in digital journalism and in digital political communication, especially regarding the effect of social media, as well as the diachronic relationships between the involved concepts (journalism and democracy within the public sphere theory). Her expertise also includes digital and social media research. Simultaneously, she is working as a teaching assistant at the University of Sheffield (Department of Journalism Studies), preparing and teaching on a variety of modules. Her educational background includes a BA with distinction in Mass Communication and Media Arts (Journalism) from Queen Margaret University of Edinburgh, a BA in History and Archaeology from Aristotle University of Thessaloniki, and an MA in Journalism and New Media from Aristotle University of Thessaloniki. Visit Chrysi’s University profile page.